Home Blog Leasing Strongbox Technology, the new name in high end graphics workstations. 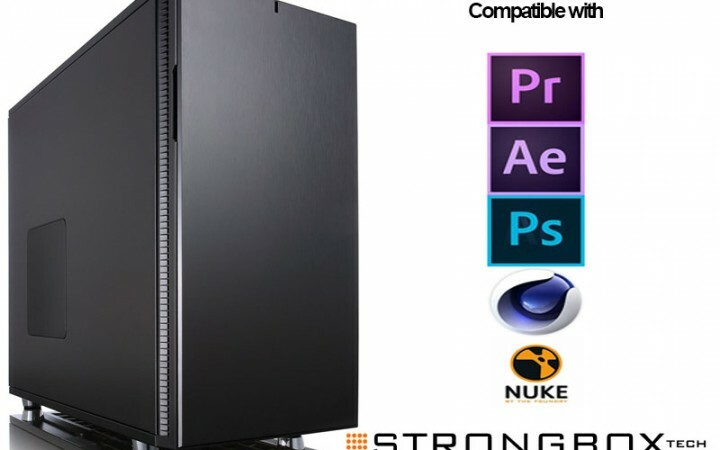 Strongbox Technology, the new name in high end graphics workstations. The High End graphics market is dominated by the HP Z range and up until recently the Apple Mac Pro. However a lot of our customers don’t like the one size fits all approach of Apple, and find the HP Z range too broad for their specific needs. Step forward Strongbox Technology. Strongbox are a UK computer manufacturer based at Pinewood Studios. Their sole focus is to build very fast workstations, servers and render farms using the latest and best components available worldwide. Unlike Apple and HP, each machine is optimized for specific industry vertical markets including Video Editors, Architects and Music Production. Each Workstation is specially built and tailored to your software requirements and set-up, meaning end users no longer need to compromise their needs with a generic HP or Apple again. Strongbox owns its own manufacturing warehouse and offices by Junction 25, M25, so no need to wait for a long time of the machine to be built in USA or the far east. HardSoft are pleased to announce our recent partnership with Strongbox, and their equipment is now available on a 3 year lease from our website or your account manager. There are two key Strongbox ranges that hardSoft have available to lease……. The K Series is a PC Workstation ideal for single threaded applications. It can also be designed and optimised for rendering, compositing, general compute tasks, 3D modelling, architectural design, simulations, photo manipulation and financial computational tasks. 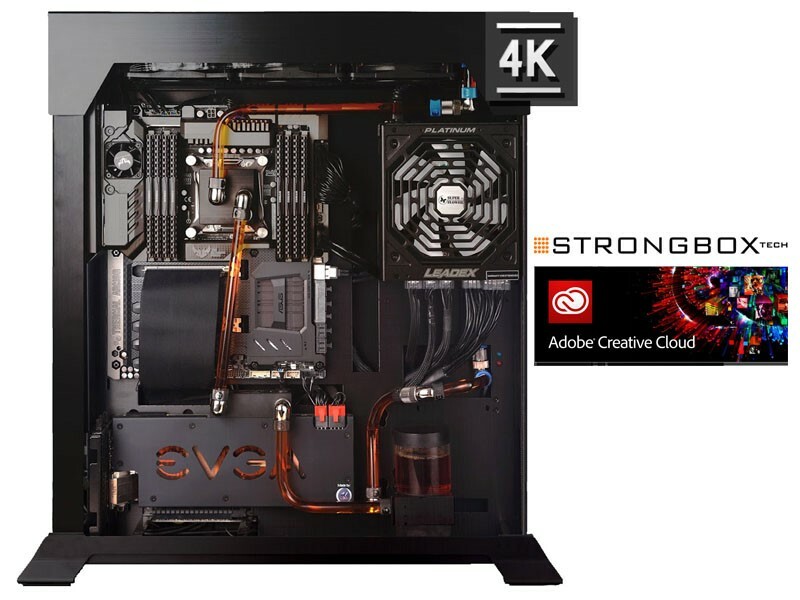 Each K-Series is Strongbox-certified for use with the full Adobe Creative Suite and is a great machine for those who need a powerful Workstation but featuring built-in upgrade paths to grow with your projects and business. 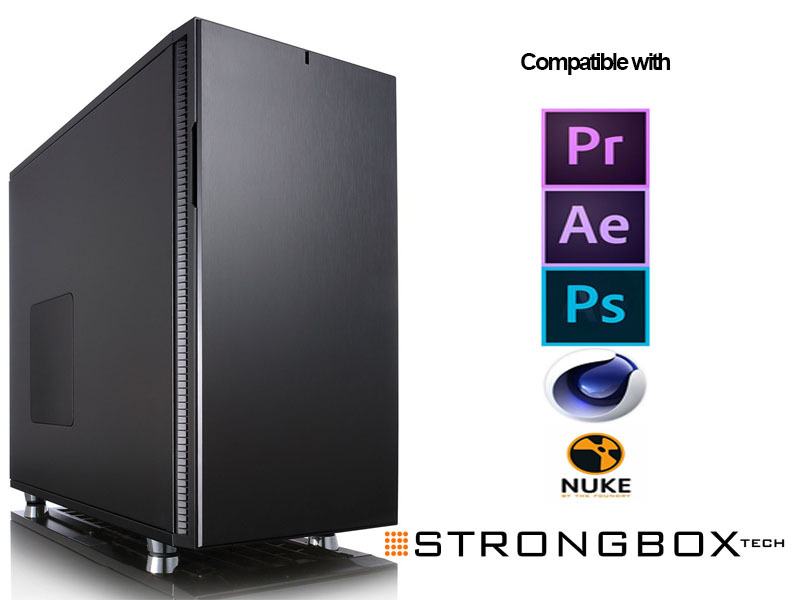 The Strongbox K series comes with 3 CPU choices, all are high GHz fast rendering and excellent UI experience. HardSoft and Strongbox can advise the right CPU for your needs based on cost and requirements to further boost your productivity. All CPUs are tuned from factory default to gain maximum power for your money. The entry level K Series has a dedicated 4GB VRAM and an impressive 1,664 CUDA cores. Tuned to give more performance than standard reference designs, the K series allows applications to render, play and compute faster than any other comparable workstation. With 8 internal drive bays you will be safe in knowing that you will always have enough storage available now and in the future to get the job done. The X series is a high quality workstation Perfect for 4K Video Editing, Post Production, CAD & BIM. 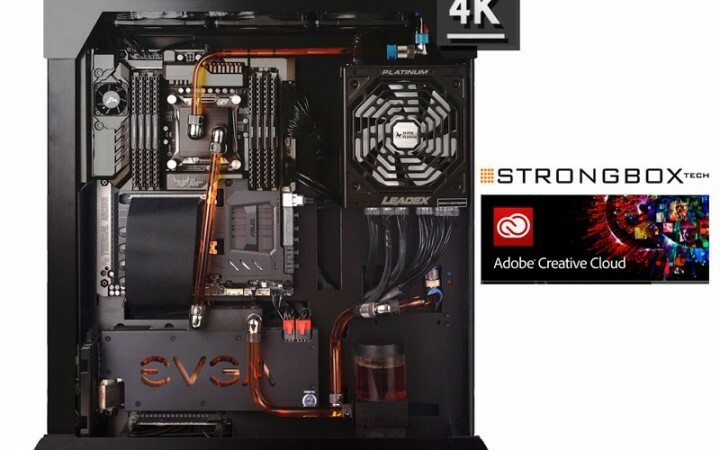 It excels at 1080P video editing and rendering, compositing, imaging and general computing. In addition it is the perfect tool for application is a variety of non-film industries, including 3D modelling, simulations, imaging, architectural design and financial (computing) processes. Using the latest ECC DDR4 RAM available to create an extremely stable fast, hardware environment. The Strongbox X series comes with 7 CPU choices, from the high GHz Quad Core Intel Xeon v3 to the 18 Core E5-2699 v3 for fast rendering. So whether your using Adobe Premier, Photoshop, Autocad or Studiomax then Strongbox have the solution fully optimized for your needs. Both the K Series and X Series are on our website now, but if you would like to discuss your needs further don’t hesitate to contact us. As with all HardSoft computer leasing, you get a No Quibble 3 year Warranty, fast lease approval and all equipment is yours for only £ 1 at the end.